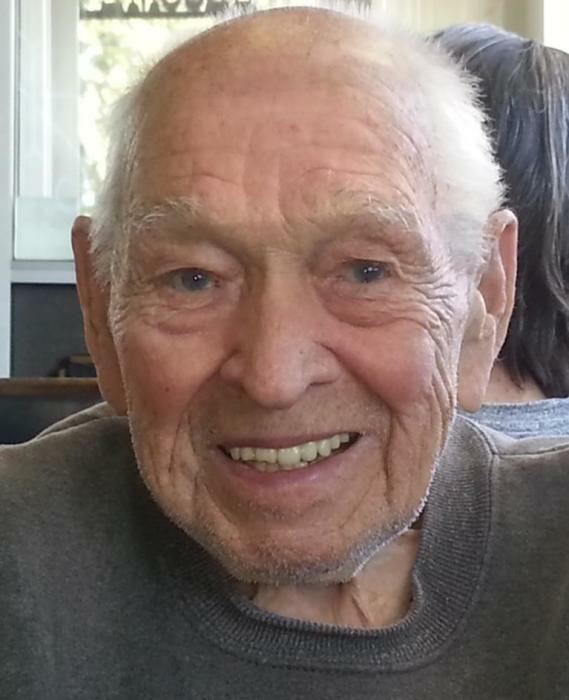 Gerald Harvey "Jerry" Nielson, 91, passed away peacefully at his home in Libby Tuesday, March 27, 2018 at the age of 91 years. He was born July 3rd, 1926 in Minneapolis, MN, the only child of Chris and Adina Nielson. Jerry spent summers up at his grandparent's farm in McGrath, Minnesota, north of Mille Lacs Lake where his uncles had adjoining homesteads. There he learned about farming, hunting, fishing, mechanics and building skills. In his youth he worked as a pin setter at a bowling alley and in a factory that manufactured the Norden bombsight. Jerry enlisted in the U.S. Naval Reserve in 1944 and worked as an electrician's mate and was posted to Eniwetok in the Marshall Islands. Then on to Samar in the Philippine Islands where he repaired ships damaged by the Japanese during the Battle of Leyte Gulf. Jerry then posted to Ulithi in the Caroline Islands where one of the final battles of the Pacific campaign was fought. After his Honorable discharge in 1946, Jerry returned to Minneapolis and attended the Minneapolis School of Business. He and his best friend, Bob Julson worked building cabins and houses during those years. Jerry then went to work for Weyerhauser Lumber Company as a salesman. In 1955, Bob set him up on a blind date. A few months later Jerry married the love of his life, Joyce Mellem in Minneapolis, MN. Jerry was then transferred to Coeur d' Alene, ID, and then on to Bremerton and Longview, WA. They moved to Wausau, Wisconsin in 1957 where their first daughter, Cynthia (Cynda) was born. A year later, he was transferred yet again to Minneapolis, MN, where Carolyn and Jeffery were born. Not wanting to be transferred again, Jerry quit Weyerhauser and went to work for Canton Lumber in Minneapolis. In 1965 the family moved to Prior Lake, MN where he and Bob built a home for the family on 5 wooded acres. The family attended the Lutheran church there. Jerry enjoyed photography, bowling, cards, music, dancing, racing his homing pigeons and travel. Jerry retired in 1982 and he and Joyce moved to Libby, MT, where Joyce had many relatives and Cynda had already relocated there. Jerry worked for Harlow's Bus Service and Coast to Coast Hardware before fully retiring in 1988. Jerry and Joyce loved traveling to Branson, MO, and took their grandson and great grandchildren on many of the trips. Jerry was also a life member of the V.F.W., serving several years as Adjutant/entertainment director at Harper-Erdman Post #1548. Jerry and Joyce loved dancing and were at the V.F.W. almost every weekend. Jerry was preceded in death by his wife, Joyce, a son, Jeffrey Nielson and a grand-daughter Kerri Lynn Dofelmire. Jerry is survived by his daughter, Cynda Dofelmire and her husband Barry, their children Richard Nielson and Mary Dofelmire and grandchildren Christian and Cheyenne; daughter Carol Lisle and her husband Gary, their children and grandchildren and many cousins, nieces and nephews. Services will be at 11:00 a.m. on Tuesday, April 10th at Schnackenberg & Nelson Funeral Home in Libby. A graveside military service will immediately follow conducted by VFW Post 1548 at Libby Cemetery. Everyone is invited to attend a luncheon afterward at the VFW at 114 W 2nd St. Online condolences and memories may be made to www.schnackenbergfh.com.